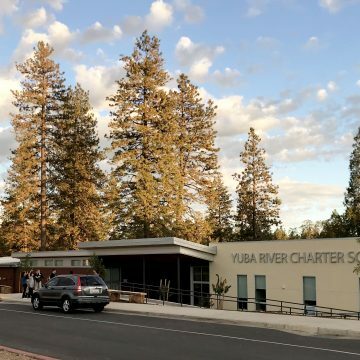 This modernization project for the Sherman Elementary School provided full accessibility upgrades to a 1940’s concrete building on a sloped site. Restrooms and path of travel upgrades were designed and detailed in sympathy with the existing Romanesque architecture. 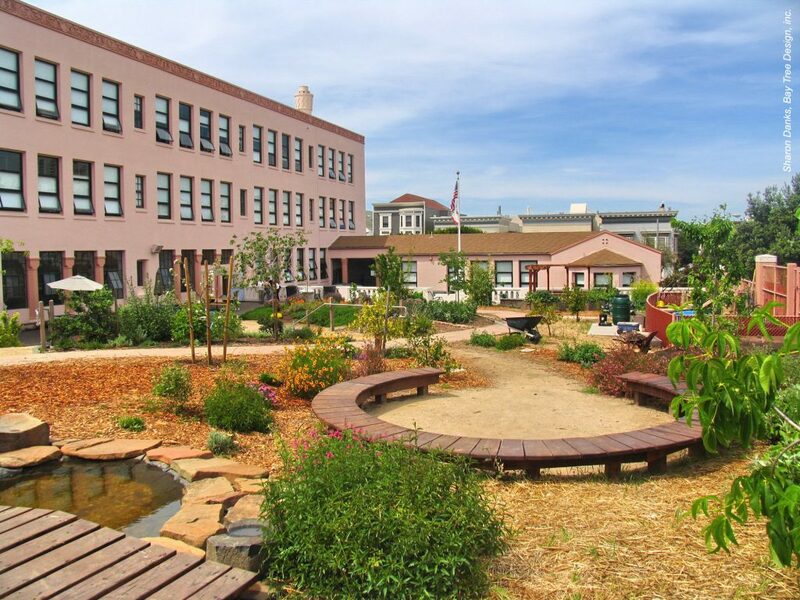 As an outgrowth of the accessibility needs of the terraced play areas and access from the inside, the green schoolyard component of the project transformed the asphalt yard into a gently sloping hill, amphitheater, outdoor classroom, waterfall and pond. This project celebrated universal design as a key component in design development. 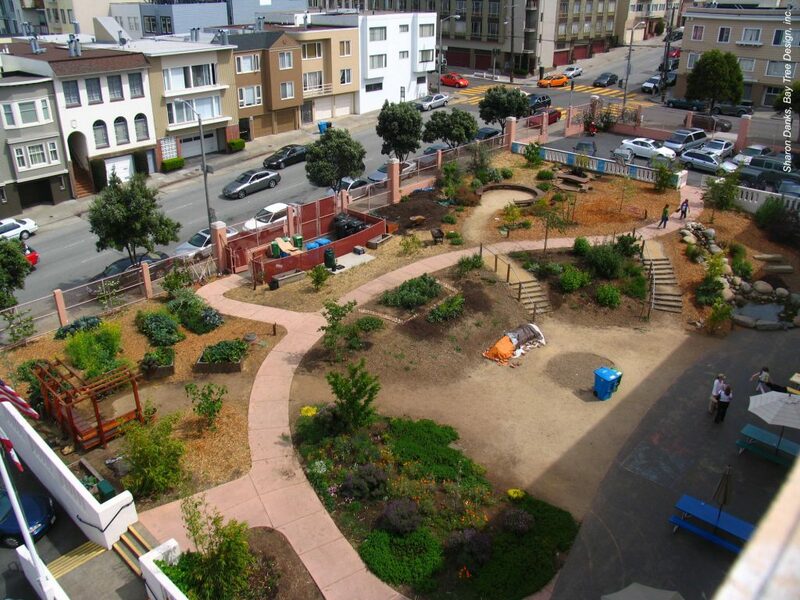 Developed through a collaborative process with 450 architects, environmental planner Sharon Danks, and landscape architect Jeff Miller, parents, teachers, staff, and the greater school community, the school yard allows nature play, gardening, and other creative outdoor activities. 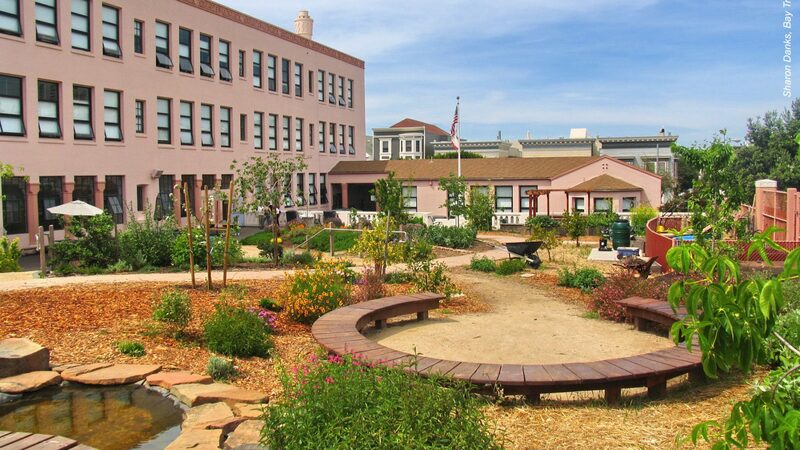 One of the first SFUSD green schoolyards, this project’s success fostered the pursuit of green schoolyards throughout the District. ADA upgrades to stairs, ramps, elevator, stage access, door hardware, drinking fountains, restrooms and schoolyards. Life Safety upgrades included the main panel, alarm and sprinkler systems. Testimonial We are deeply grateful for your creative vision, great listening skills, help and support. You led us on a path to collectively and collaboratively dream about what our school community would like to see in the ‘greening of our yards.’ And now our school is beautifully transformed!